Today I wanted to share 3 recent recipes I posted on instastories that I had requests to share. First up, the best deviled eggs ever. What did I do before I found Trader Joe’s Everything but the Bagel Seasoning? 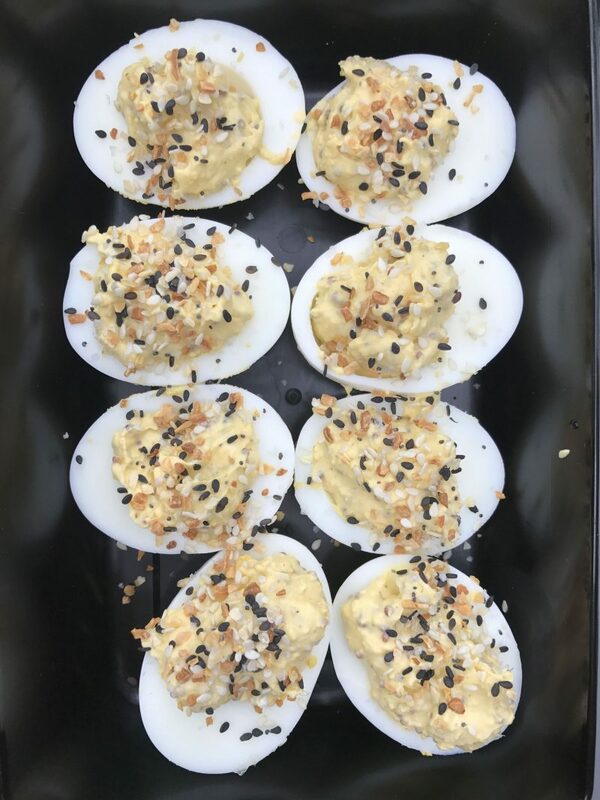 These deviled eggs are sure to be a crowd pleaser. I make them like once a week! Bring eggs to a boil and then turn off water and let them sit about 10-15 minutes. I have found they are much easier to peel and remove the yolks if you let them cool completely. Slice in half and remove yolks and transfer yolks to a bowl. Add mayo and mustard to yolks. Season with salt and pepper. Mash all together. Add more mayo if needed. Scoop the filling into the cooled egg whites. Sprinkle the tops with everything but the bagel seasoning. This are two salads I made for my lunches this week. Both are super easy and tasty. I don’t have exact measurements for them so just kind of taste and season as you make them! Mix all together. Add as much mayo and relish as desired. I like alot of relish! 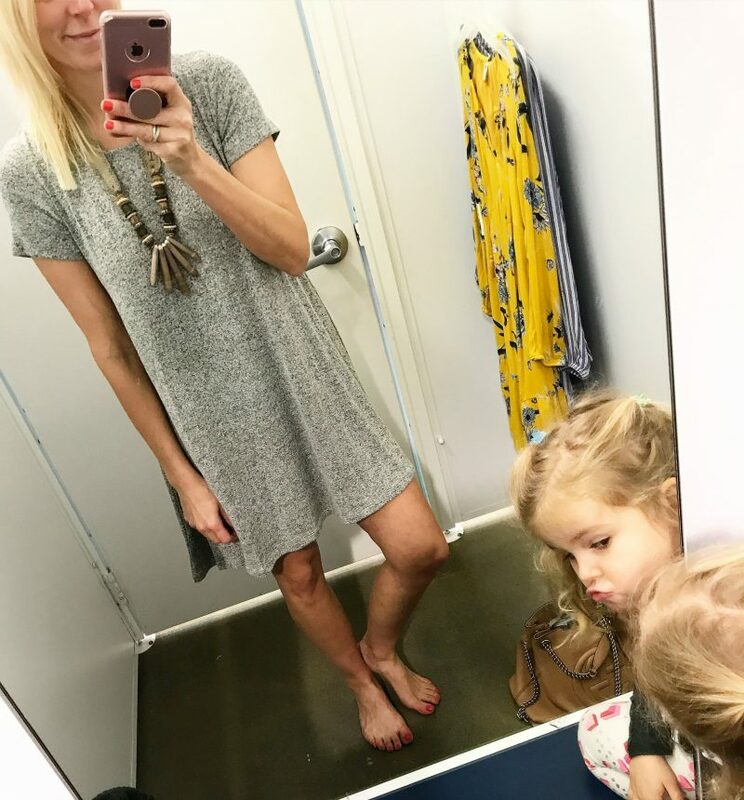 I wanted to share this adorable tee shirt dress that is under $30! I am wearing a size small. It also comes in a pretty yellow color. The material is great not too thin and it is a nice fit not clingy. Your daughter making faces at herself in the mirror is precious! I love the idea for relish in the tuna! Genius! 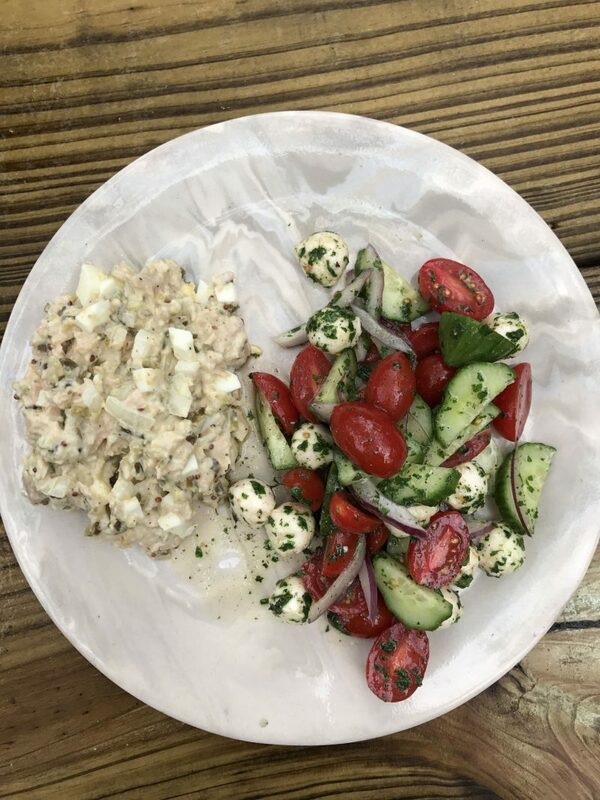 I always add dill-pickle relish to egg salad, but for some reason have never added it to tuna.